“When small business is growing, jobs are growing” – Federal Small Business Minister Kelly O’Dwyer. We’ve heard it before – Australia is, by population, a small country. This means we have a small workforce, and a small consumer base. And, in keeping with our small theme, we rely heavily on our small businesses. According to the Australian Securities and Investment Commission (ASIC) approximately 96% of all registered companies and businesses are considered to be small businesses with fewer than 20 employees. Further, these small businesses collectively employ almost half of Australia’s workforce. Considering small businesses contribute more than $340 billion each year to our economy it is clear that they are an integral part of industry growth and of employment rates, however, not every small business is an overnight success – those that succeed take great ideas, hard work, and skilful expertise. It is not just the hard economic facts surrounding small businesses that make them a desirable part of our corporate landscape, but they also provide a cradle for innovation and entrepreneurship. Small businesses fell out of favour with the rise of larger industrial companies in the 1960s and 70s, however, with the emergence of the entrepreneurial economy in the 1980s the small business was again a politically desirable asset to the economy. The strength of small business has been reinforced with the growth of the service sector, information technology, and an increased demand for flexibility and specialisation within services. According to the Federal Government, Australia is now entering into the ‘Ideas Boom’, which, it is predicted, will be the driving force behind further economic growth. With such a reliance on ideas and entrepreneurship, set on the background of a strong small business economy, it is no wonder that now is a great time to start a small business. There is currently ample information and funding available for start-up companies, including The National Innovation and Science Agenda and the Australian Government New Enterprise Incentive Scheme (NEIS) – you can find links to both these schemes at the end of this article. Australia is embracing the small business and pushing the population to take chances with innovation and entrepreneurship. If you have a great business idea, it seems that now is the time to develop it and take the steps towards starting up your own small business. Is Starting a Small Business for you? Although small businesses are experiencing heightened support in Australian, not all of them succeed as it is still a highly competitive market. 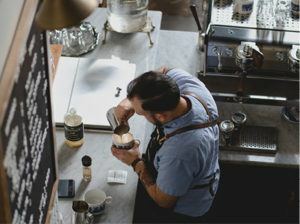 According to the Australian Bureau of Statistics more than 300,000 small businesses are started each year and less than half of those make it to the four-year mark. However, with a good idea, some business management skills, and some hard work you may be one of the businesses that succeeds. The hours can be flexible as you are running the show and you can choose when and where you work. The hours, are not completely within your control – if something needs to be done, it always falls on your shoulders, so you may find yourself working more hours than you would in a regular job. Ability to create and see your ideas actualised will give you a great sense of accomplishment and satisfaction with your work. Wearing all the hats: you will have to learn fast about human resources, legal, customer service, supply chains – basically everything that other businesses have departments for, will all fall on you. Potential for unlimited earnings if your business succeeds you can make a handsome profit and have the freedom to expand your work or to sell the business. Capital and cash flow: the bottom line is that you need money. You need start-up capital and working capital. You will need to have a savings buffer in place for those months when your cash flow is in the negative. Keep it in the family if the business succeeds and you choose to retain control, it will be a great asset to share with your family if they are interested in helping you expand the business for the future. Consider the risks involved in starting a business – you may have to keep another job during the start-up process to ensure some cash flow, and seek some advice about setting up your business properly so that your personal assets are protected. Consider having an ‘exit strategy’, this includes planning at the start of your venture what your limits are – how much time and money are you willing to put into it? Is your plan to sell the business after some time? Of course you will need to be flexible, however, it doesn’t hurt to have a plan. As quoted in ‘Small guys spend big’, The Herald Sun (14 December 2015), page 11.